Now for another julmust (christmas soda) review, which I talked about here. For some year now it's become trendy for breweries to release premium, aged julmust. Some aged on oak or rum barrels, but still alcohol free off course. 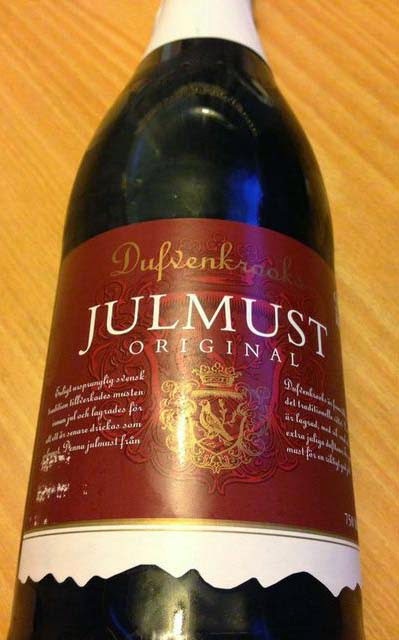 Dufvenkrooks Julmust Original in a glass bottle is a newcomer this year and according to the label it's aged 1 year. 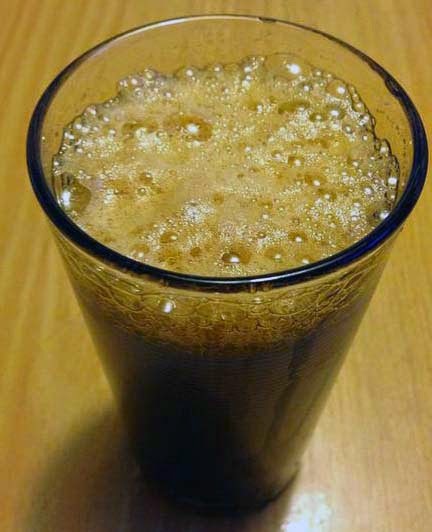 The head is very foamy and after the first sip you don't notice anything special about it, just a sweet, malty julmust. But after a few drinks the sweetness fades out and the taste gets to be more beerlike with particularly distinct hops flavour. It's interesting how the flavour deepens and changes but there are also a not so nice bitter and metallic aftertaste. Great to try it, but one time was enough. I want julmust to be a little sweeter.